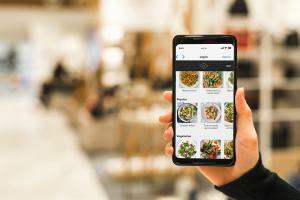 Wi5, the Telefónica-backed fintech start-up, has closed an £8 million Seed round to further the development of its mobile Order & Pay technology. Wi5, the Telefónica-backed fintech start-up, has closed an £8 million Seed round to further the development of its mobile Order & Pay technology. With one of the largest early-stage investments seen in a UK start-up, the company is expected to radically transform how customers purchase goods and services from brick and mortar vendors. The investment round was led by West Hill Capital. Wi5 makes it quick and easy for people to select, order and pay for items through in-store Wi-Fi without any apps. Initially focused around quick-service food and beverage orders, Wi5 has its sights set on a number of dining, leisure and entertainment sectors. With over 50,000 restaurants, 100,000 pubs and 22,000 coffee shops in the UK alone, more time and money are being spent eating and drinking outside of the home than ever before. With demand for speed and convenience growing, merchants are increasingly looking for innovative ways to better order & pay experiences. By enabling customers to order & pay as soon as they connect to Wi-Fi, businesses needn’t suffer the pain and expense of developing and promoting an app, which usually only serves as a barrier to customer engagement. Wi5 also learns from consumer behaviour, delivering personalised customer experiences leading to increased retention. Wi5’s clients include The O2 arena and AB InBev, and the company is in discussion with a number of global telecoms partners as it seeks to expand internationally. Prask Sutton, Wi5’s Founder & CEO said: “This investment allows us to provide the very best solutions to address our markets’ demands. I’m thrilled to receive the vote of confidence this financial backing represents. The company is entering yet another exciting stage of its development and the funds raised will accelerate Wi5’s growth and support our ambitious geographic and vertical expansion strategies.